Bitcoin Outreach Flier – The Keene Bitcoin Network distributes these around town and at the county fair. As of the 2016 edition, there are now three variants available – Keene, NH, and International. NH Jury Trifold, for jury nullification outreach only in NH. Encourage potential jurors to exercise their right of conscience and set free consensual “criminals”. Don’t Take the Plea Deal trifold – Encourage people to refuse the plea deal. 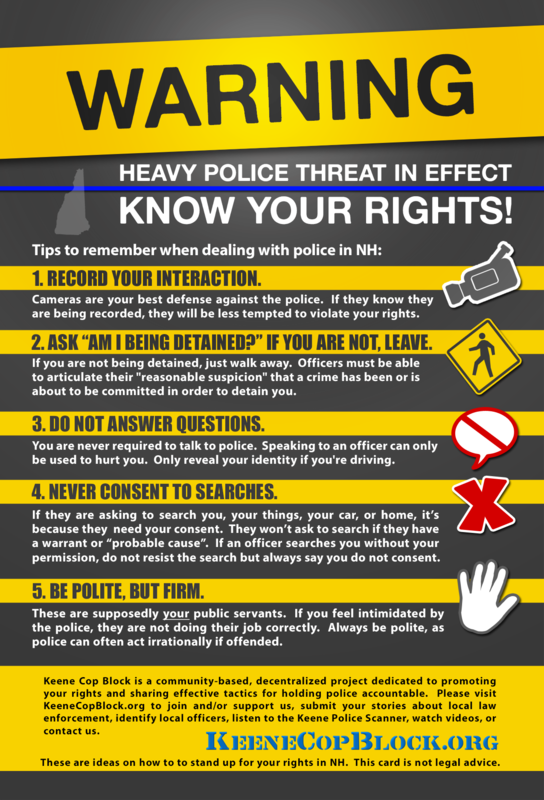 This trifold is available in NH and National versions. Here’s a video explaining the outreach. The Escape to Keene monster-sized postcard – to be used to recruit liberty-loving movers from outside of Keene, preferably outside of NH. Chronic Christmas Carols – sing to end the insane War on Drugs! Peace Ticket – Got a ticket from the government people? If you’re planning on noncooperating and perhaps going to trial, try sending this to them to let them know what to expect and give them the chance to end their aggression against you. Here is a Peace Ticket for NH and one for the US. 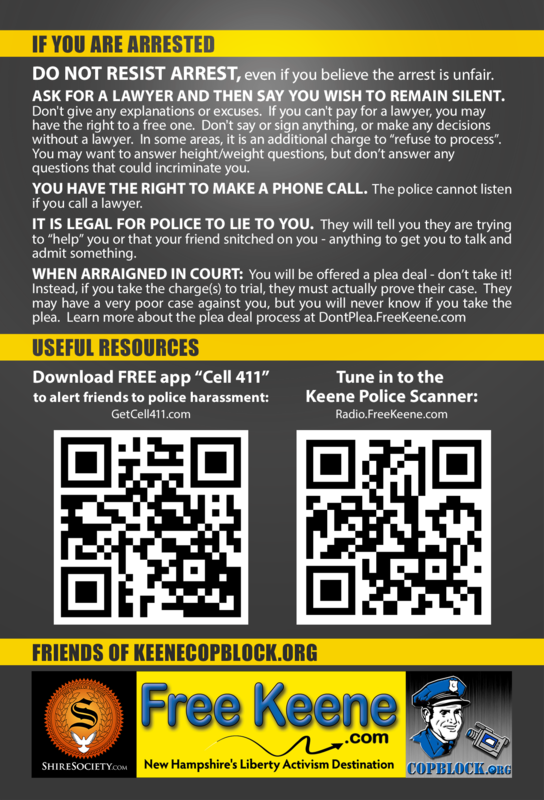 Listen to the Keene Police Scanner with your favorite media player or smart phone and find out what they are up to. Porcupine 411 allows you to mass-voice message other Keeniacs as well as liberty activists across NH! 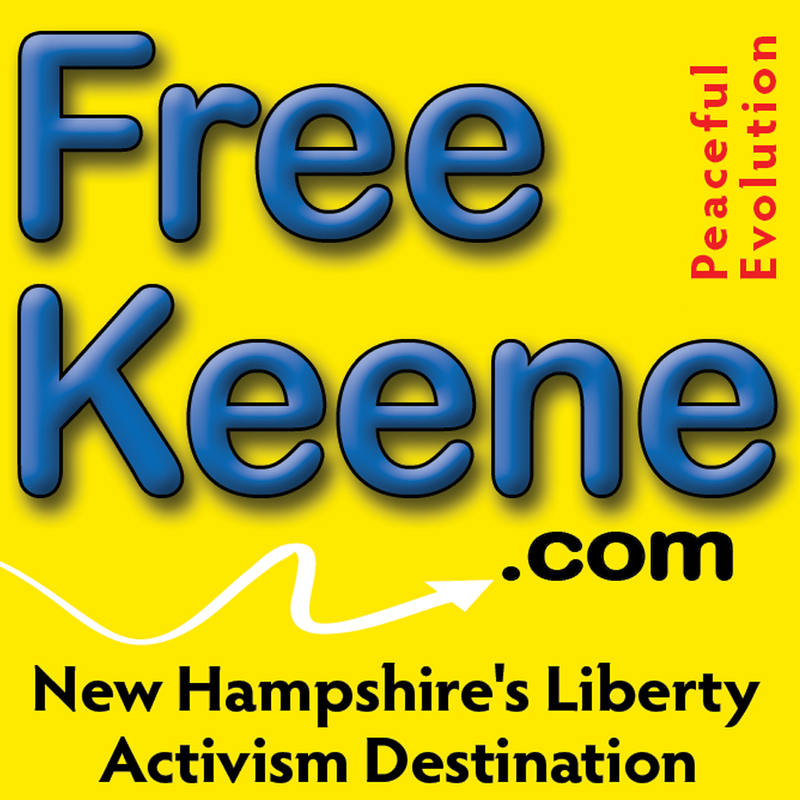 The Free Keene calendar allows you to see upcoming events of interest to local liberty activists. Don’t forget our forum, where you can interact with other Keeniacs and members of the Shire Society.